In addition to the wonderful cast featured on the poster, Joanna Gaskell returns as Edda! 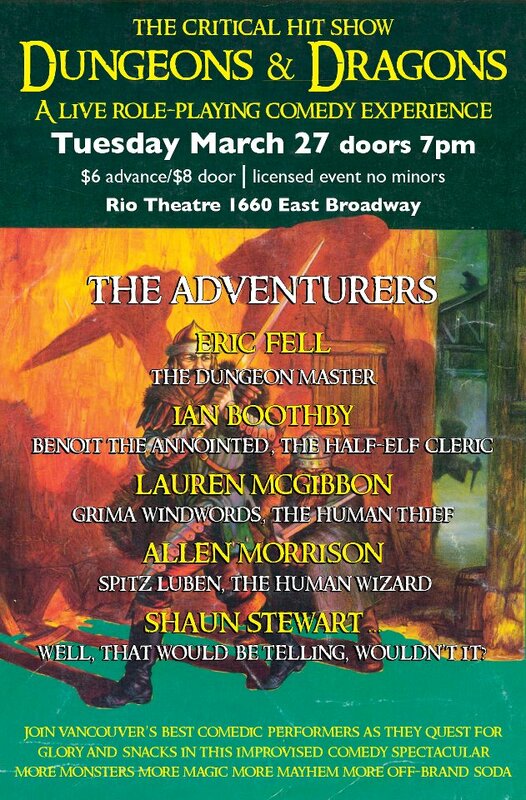 I am supremely guilty of not mentioning it to the fantastic people at The Rio Theatre soon enough, so her name didn’t make it to the poster. To make up for it, Let me link to Joanna’s websieries (which was nominated for about seventeen trillion awards. I don’t have the paperwork in front of me, so don’t quote me on that exact number). It’s called Standard Action, and it’s pretty great. If you want to buy advance tickets to The Critical Hit Show, here’s the direct link to Brown Paper Tickets. $6.00 for a live comedy show? Damn straight you want to buy tickets!